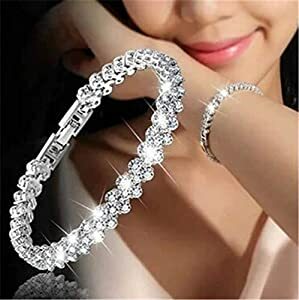 Cubic zirconia is pronged to the women bracelets jewelry to secure from loosing. 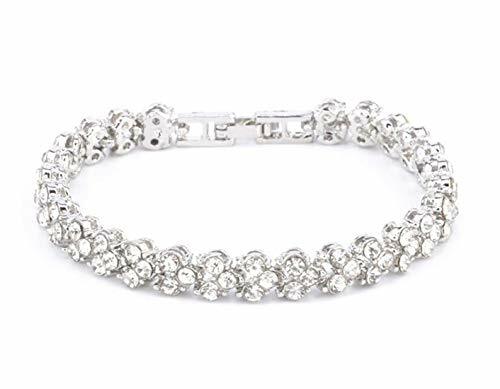 Luxury shiny bracelet highlights noble temperament everywhere. Encounter at a certain moment, shining in every moment. Jewelry makes an ideal gift: 1. for your loved ones, e.g., girlfriend, fiancée, wife, mother, sister, or just a friend; 2. on any occasion, ex., Christmas, Valentine's Day, anniversaries, birthdays! Expertly polished for a beautiful finish and crafted with expert care.